Francis McDormand took home her first Academy Award for her singular performance as a pragmatic small-town police chief in the frigid wastelands of the Northern Midwest investigating a used car salesman’s gravely incompetent attempt to kidnap and ransom his own wife. Working always on the fringes of Hollywood convention, with relatively low budgets, sharing the duties of writing, producing, directing, and editing (often under an assumed name) siblings Joel and Ethan Coen have managed to turn their eye for improbable camerawork, ear for idiomatic dialogue, and nose for general mischief into a legendary run employing genre rules as a lever to bend the very genres they explore. Though their films each stand as individually distinctive, taken together, their works exhibit a number of recurring hallmarks—not least of which would be luckless schlubs hopelessly outmatched by circumstances of their own making, and more often than not centered around criminal designs gone wildly pear-shaped. 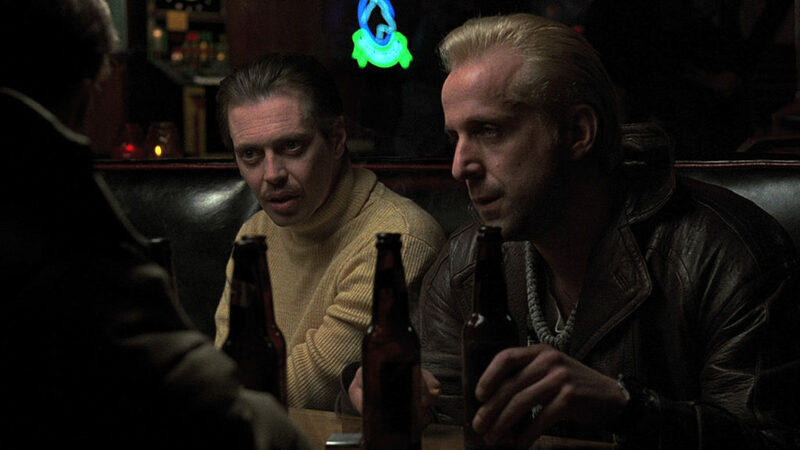 Equally mannered as they can be merciless, hilarious as they can be harrowing, the Coens have together used their preoccupation with outsiders, reprobates, and outlaws to stake out a unique place for themselves to live by their own rules well outside the walls of the ordinary. Once voted New Hampshire’s Best Film Critic by NH Magazine, Trevor Bartlett is a regular contributor of movie reviews for The Sound News. He’s worked in the Telluride (Colorado) Film Festival curatorial staff and produced Portsmouth’s Telluride by the Sea at The Music Hall for many years. A lifelong advocate for the arts, he is a graphic designer, event coordinator, and media consultant. He’s an avid traveler and adventure seeker, and cultivates a guilty appreciation for trashy grindhouse pictures. Tickets are limited, book your subscription today. No passes. Ticket price includes a free popcorn and post-film discussion with host and moderator Trevor Bartlett.